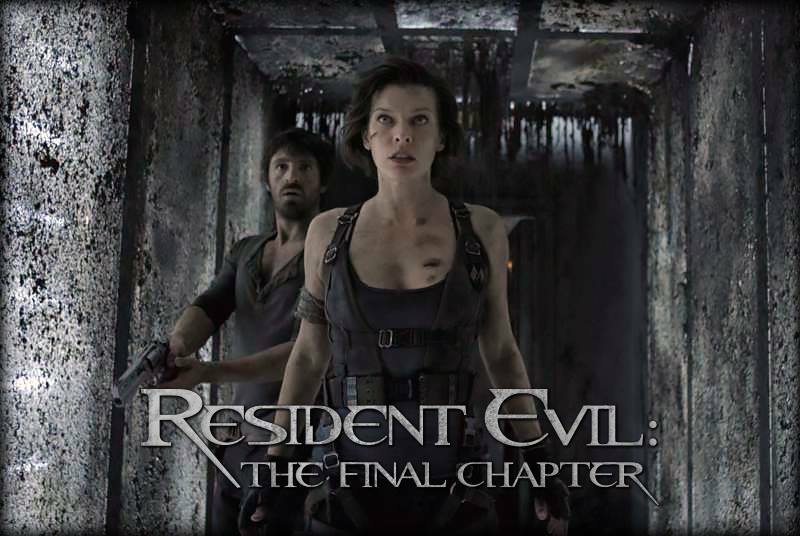 Resident Evil: The Final Chapter is a 2016 science fiction action horror film written and directed by Paul W. S…. Resident Evil: The Final Chapter is a 2016 science fiction action horror film written and directed by Paul W. S. Anderson. It is the sequel to Resident Evil: Retribution and the sixth and final installment in the Resident Evil film series, which is very loosely based on the Capcom survival horror video game series Resident Evil. The film stars Milla Jovovich, Ali Larter, Shawn Roberts, Ruby Rose, Eoin Macken, William Levy, and Iain Glen. In the film, Alice and her friends are betrayed by Albert Wesker, who gathers the entire forces of Umbrella into one final strike against the apocalypse survivors. Picking up three weeks after the events in Resident Evil: Retribution, humanity is on its last legs after Alice was betrayed by Wesker in Washington D.C. As the only survivor of what was meant to be humanity’s final stand against the undead hordes, Alice must return to where the nightmare began – Raccoon City, where the Umbrella Corporation is gathering its forces for a final strike against the only remaining survivors of the apocalypse. In a race against time Alice will join forces with old friends, and an unlikely ally, in an action packed battle with undead hordes and new mutant monsters. Between losing her superhuman abilities and Umbrella’s impending attack, this will be Alice’s most difficult adventure as she fights to save humanity, which is on the brink of oblivion.